This template has been impressing boardrooms since 2005! 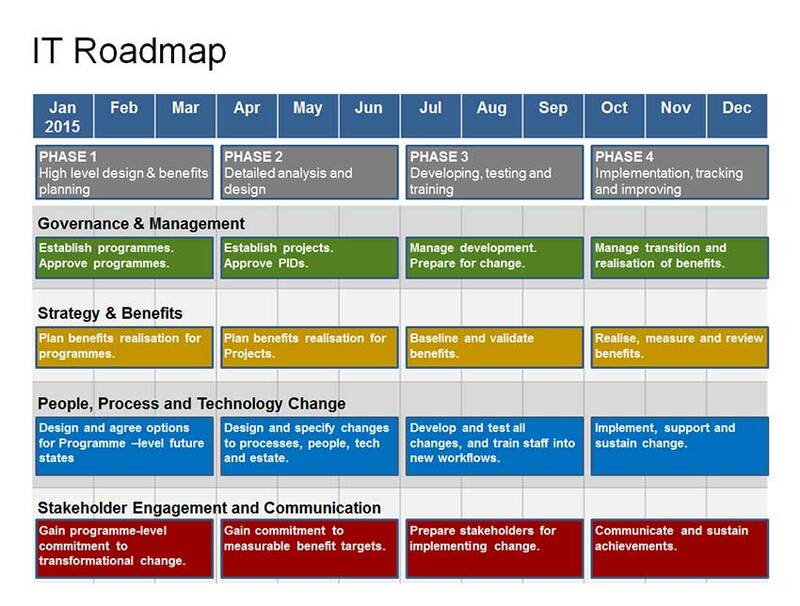 Visio Roadmap format is easy to edit and can communicate project plans at a glance. Five workstreams, with activity or project bars within each workstream. Dynamic timeline, with drag-able milestones. This template requires Microsoft Visio – please see our Powerpoint Roadmap Template version if you do not have VIsio. Rating for Visio Roadmap Template – the Original since 2005 Template: 4 out of 5 , based on 2 customer reviews. 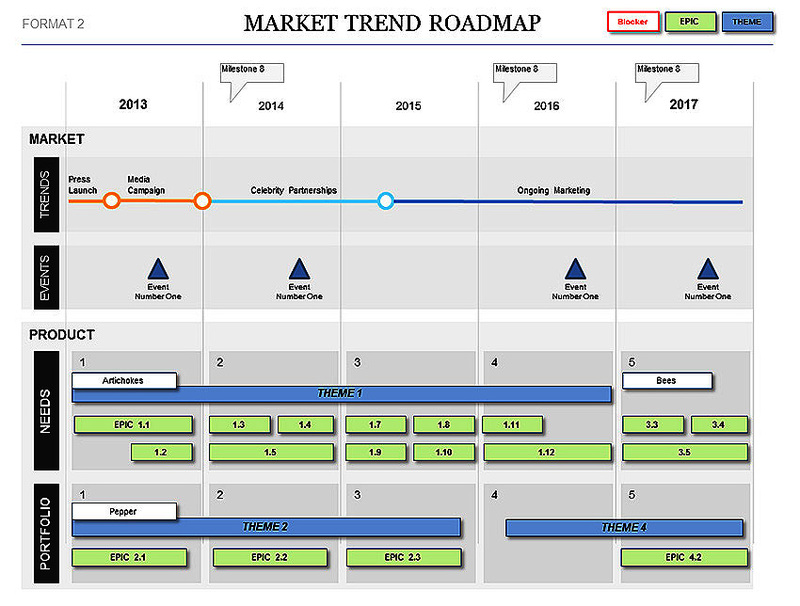 The Product Roadmap Template 2016 is a stylish take on our existing successful Roadmap formats. The clean graphic design appeals to a broad audience.